Isn’t it odd that we find only the chubby to be jolly? While in this baffling predicament of why Santa doesn’t lose weight, I did the obvious, I set up an interview with the great white shark….errr…..man himself. 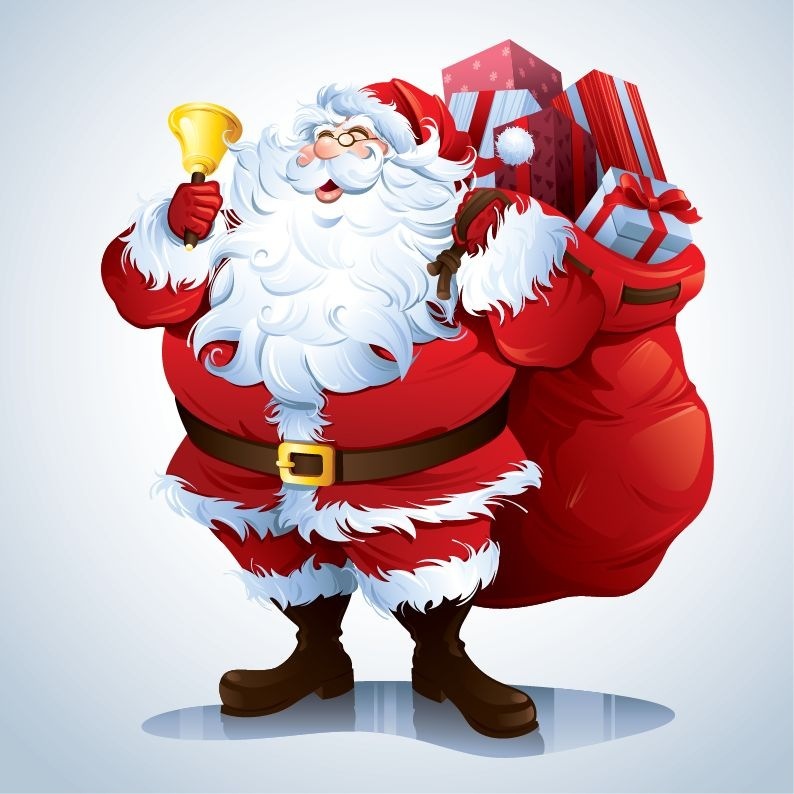 Alvito: Good day Mr. Claus, Thank you for taking time out from your busy schedule to answer a few questions for my blog. Santa Claus: Not at all, I am always happy to answer any questions my flock might have. But just a request, don’t call me Mr. Claus, you can address me by my real name, Mr. Williamson. A: Huh? Williamson? That doesn’t sound very jolly. SC: Well, my father’s name was William and I’m his son, hence I become Williamson. It’s better than getting thousands of SMS’s from kids each day about what they want. At least now TRAI introduced a golden rule of just 200 SMS’s per day. PHEW! A: Ummmmm ok. Let’s get straight to the point. How do you feel promoting an unhealthy image to all the youngsters out there? SC: (getting agitated) First of all, let me make it quite clear to you brazen youth that I jog for 15 minutes each day. And besides up in the North Pole one has to wear bulky clothes to stay warm. The clothes make me look big. A: So you are saying that if you wore a tracksuit, you would look much thinner? SC: Ahem.. Let’s just put it this way, would you rather have my relative Arnold Schwarzenegger or a jolly old man deliver presents? A: (Wow, I never knew he knew Schwarzenegger, I better leave quickly, lest he makes me do pushups) Just a couple questions more sir. Making the elves work for you, doesn’t that constitute child labor and how do you manage to deliver all the presents in just a single night? Well, there you have it, straight from the boss’s mouth. Although he evaded my inquiries regarding his unhealthy body image, losing a few pounds wouldn’t be so bad for him, at least then he wouldn’t be fooled by his elves. (Elves slacking off know when Santa is coming downstairs… they can hear his heavy breathing all the way down! Not to mention that the first thing they see of Santa when he rounds a bend is his protruding paunch). I’m also pretty sure that Dasher, Dancer, Prancer and Vixen would be able to cover more ground in a much shorter time, without the excess baggage. Just to play fair, let’s look at it from the jolly man’s eyes, shall we? Imagine waking up day after day only to order others to make toys. However even in that case, technically, he should lose weight, after all who has not lost a couple of pounds due to work related stress? Or, instead of making jolly good Ol’ Nick take up this responsibility, next time remember that instead of leaving cookies and a warm glass of milk for him on the roof, stick to chappatis and a Diet Coke….. Hopefully he’ll get the message!